At the time, choices were limited. 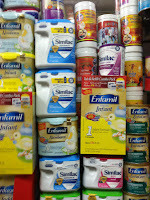 Evaporated milk was widely available and was touted as a nutritionally satisfactory substitute for breast milk, though that claim was later debunked. Similac had been around for a while and had gained a bit of traction. But right around the time that I performed my Trevi imitation, commercially prepared baby formulas began hitting the shelves in a really big way. Today, the four biggest producers generate over $40 billion in sales. That's more than McDonald's sales in the USofA, more than Apple Stores/ITunes sales revenue worldwide. That's BIG business. And Nestle has nearly a 25% market share. So why should we be surprised that the USofA tried to bury a World Health Organization report documenting that breastfeeding was better for infants than formula? After all, the US believes in the free market and, as we have learned over the years, the most effective way to market is to buy politicians. And American politicians have been bought and paid for. Why? Because they deliver. The American government spends twice as much on corporate welfare as it does in welfare payments to individuals and families. To be clear, I'm not talking about such gifts as no-bid contracts or targeted tax loopholes. I'm only talking about direct payments, cash on the barrel head. Coal, oil, and gas subsidies. Bailouts. Farm subsidies. (And don't tell me that farm subsidies support small farmers. Farm subsidies are targeted to the gigantic corporate farms, the ones who contribute to political campaigns.) These direct payments alone approach if not exceed $100 billion annually. But all of that is not really important. 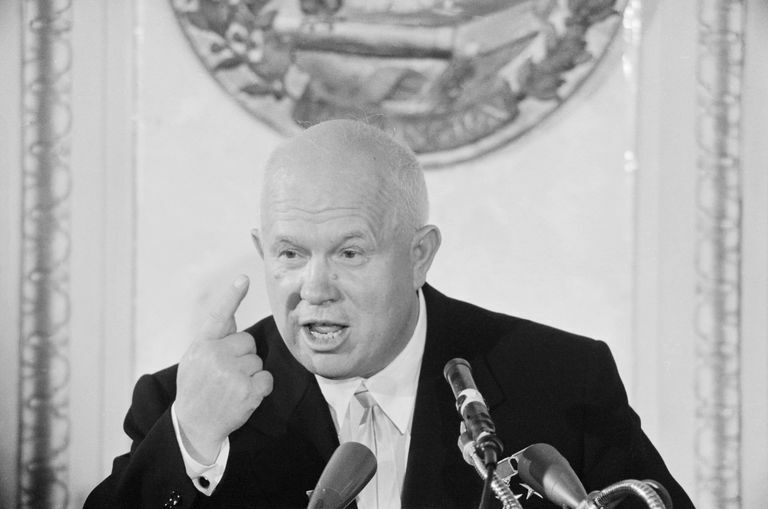 What's really important is what Nikita Krushchev said in Poland in 1956 in front of a group of Western diplomats. No, he was not speaking at the United Nations while pounding his shoe. No, he did not say,"We will bury you without firing a shot." Some years later, he clarified by saying," Of course we will not bury you with a shovel. Your own working class will bury you." 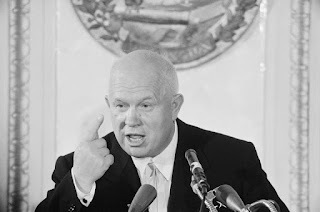 And now we know that Krushchev was not quite right. He anticipated that the proletariat would rise up and seize the means of production and distribution from American fat-cat capitalists. Instead, the fat-cat capitalists have managed to seize everything in sight in the name of profit, from detention centers to prisons to the American healthcare system. Indeed, the health of the working class has become a major profit point. And as a result of the American not-so-free market system being applied to the healthcare of Americans, and in spite of the fact that Americans spend twice as much per capita as the European social democracies spend on healthcare, infant mortality is higher in the USofA, child mortality is higher, and life expectancy is shorter. Our healthcare system is killing us. The working class isn't burying the capitalists. The capitalists are burying the working class. And they're doing it from the very beginning of life. Because who would want to drink mother's milk when you can drink manufactured milk out of a brightly colored can marketed by Nestle?